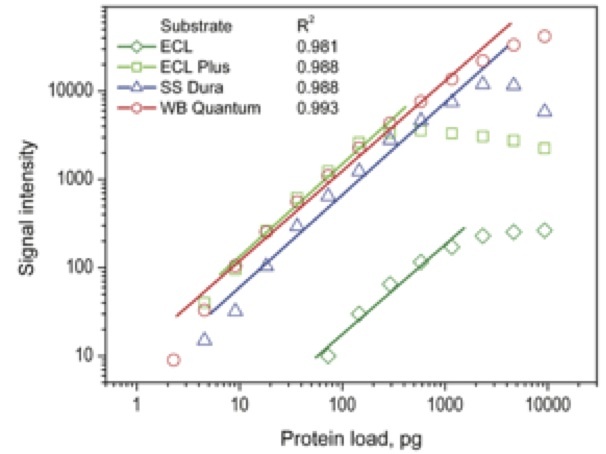 Chemiluminescence for Quantitative Westerns: WesternBright Quantum - Advansta Inc.
Don’t you wish someone would come up with a chemiluminescent substrate that was sensitive enough to pick up even the smallest amount of protein without saturating and causing white spots on highly expressed proteins? One whose signal didn’t decay in the time it takes you to capture the perfect exposure? A substrate that could easily be used in quantitative Westerns? 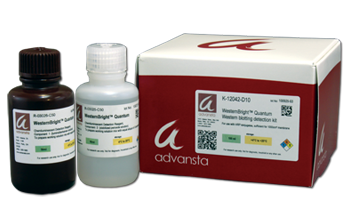 Advansta has answered your prayers with it’s WesternBright Quantum HRP Substrate! 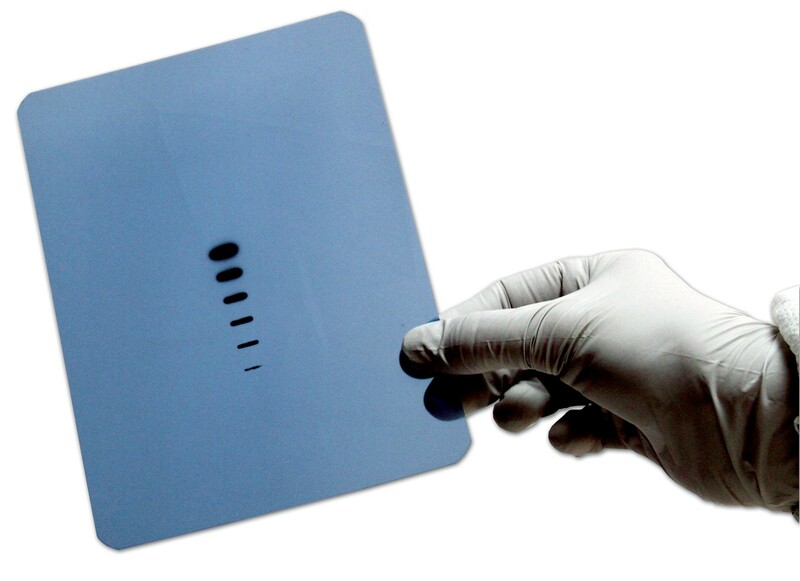 Scientists at Advansta recognized the need for a highly sensitive HRP substrate that doesn’t cause blow out of signal when using abundant protein amounts. They designed the WesternBright Quantum chemiluminescent HRP substrate with quantitation in mind. “Just want to say thanks for the sample of that new ECL. 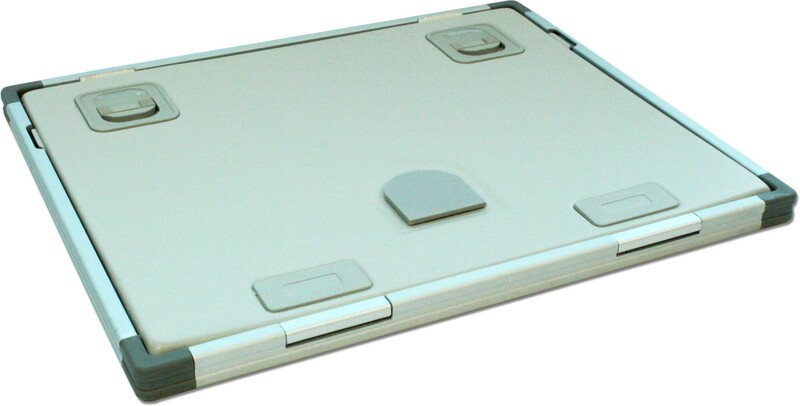 I ordered it already (Western Bright Quantum, E-1116-10), and it works great! Even after 1.5 hours it was still working – got really cool results. Definitely will order again,” Julia Shackelford, Ph.D., Research Associate Professor, University of North Carolina at Chapel Hill. “I have tested the substrate sample (Quantum) you sent to me a while ago. It worked great and gave me much stronger signal than the substrate I am currently using and the signal duration is very good too. I will certainly switch to your product when I need to order some more.” Lei Xing, Ph.D., Post-doctoral Research Associate, UNC Neuroscience Center. Make sure you get some WesternBright Quantum today! 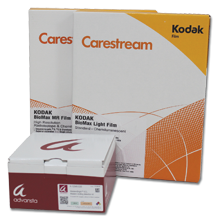 WesternBright Quantum evaluation sample pack.